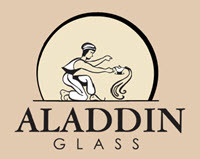 Aladdin Glass and Mirror- Servicing Los Angeles County and the surrounding areas with Glass, Mirrors and windows! We are experienced with all ranges of repairs, and maintenance. We can help with window installation to sliding door repairs. Together, we’ll look at your needs, spend time with the issues and figure out the best solution. Let our experts do the work measuring dimensions, assessing your needs, and making sure your purchase is perfectly customized to your home/business.